This year’s RumFest will once again showcase over 400 of the rarest and most diverse rums from across the globe as well as a few very special treasures that will take part in our ‘Golden Tot’ initiative. Please read more about our ‘Golden Tots’ in About RumFest. Features will again include intimate seminars hosted by industry aficionados, a main stage with mouth-watering food from all over the world as well main stage presentations, holiday giveaways, live music and dancing during Carnival Hour! A spectacular and exciting secret is tucked away above Laki Kane’s tropical escape bar, in the heart of N1. After months of development and refining, the Spiced Dry Rum Club will open its doors for its first official rum experience commencing Friday 12th October. 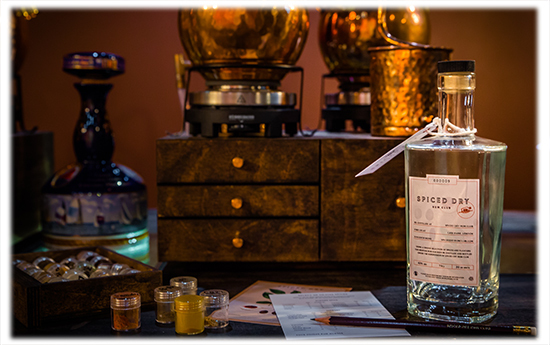 The Spiced Dry Rum Club provides a truly unique rum re-distillation experience by utilising techniques that have not previously been made available to the public including nineteen copper alembic pot stills. 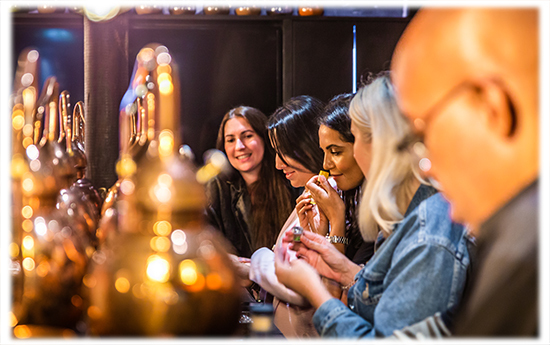 Lead by a rotating team of London’s foremost rum experts, guests will embark on a voyage of rum discovery, experiment with flavours and design their very own bottle of rum to take home, completely bespoke to their own tastes. For further details, see the Spiced Dry Rum Club press release. Offering a world-first, unique rum re-distillation experience, the Spiced Dry Rum Club will delve into the world of rum like never before. A charismatic and charming 17th century inspired interior sets the scene for this unique 2.5 hour experience taking place daily at Laki Kane’s Spiced Dry Rum Club. Run by London’s most prominent bartenders and rum experts, rum-lovers and newcomers alike will be taken on a journey through the history of rum, indulge in premium rum tastings, learn about the key ingredients used in rum making and discover the perfect cocktail pairings for this exciting new style of rum. Each guest will be seated at one of nineteen beautifully hand-crafted, copper alembic pot stills as the Spiced Dry Rum Club master distillers guide each guest through the re-distillation process, experimenting with spices and fruits to create their very own bespoke bottle of rum to take home. The design of the Spiced Dry Rum Club has been influenced by the 17th century maritime rum trade, tales of large ships sailing high seas is etched throughout the upstairs bar with the main Pusser’s Rum Ship table seating twelve people and the Captain’s Table seating seven. Experiences are available to book now from £119 (plus booking fees), which includes food and drinks during the session plus the guests own 700ml bottle of rum to take home along with a Spiced Dry Rum Club gift bag containing exciting products from Laki Kane and partners. 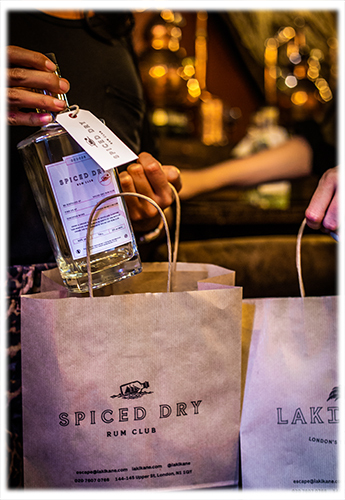 Bookings can be made at lakikane.com/spiced-dry-rum-club and further bespoke packages will be available on request. The Spiced Dry Rum Club follows the success of the downstairs Tropical Escape bar, which opened its doors at Laki Kane in early July 2018. The concept was created by life-long Islington resident and businessman Steve Kyprianou, Islington local finance and operations manager, Sam Robson, and ex-Mahiki bar manager Georgi Radev, a leading tiki, rum and cocktail expert with over 16 years experience managing bars and high end spirit brands.